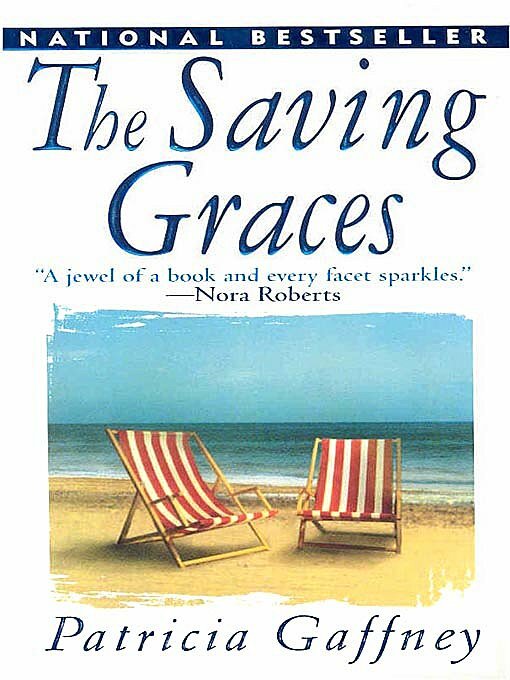 My answer was The Saving Graces by Patricia Gaffney, which I was reading just days before my wedding. There I was in the Chicago O’Hare airport, on my way to our wedding, lugging around my wedding dress and bawling my eyes out over this book. I remember one little old lady waiting at the gate with me leaned over and said, “You know, honey, if it’s really that bad, you don’t have to go through with it!” Huh? Ohhh, the wedding dress… I assured her my finance was Mr. Wonderful, it was only the book that was getting to me. I had a short Twitter conversation with Susan Mallery about how long it had been since I cried over a book and she gently suggested that maybe I should invest some time in more emotional reading. Was I really missing out on something? I took it in and filed that thought away for another day. It’s not that I have anything against emotional books, but the truth is they rarely affect me the way they do my friends, and then I feel guilty for not crying at the same places my friends did. Silly, I know, but we do sit around and talk about scenes in books and I always feel like something is wrong with me because I just didn’t have the same emotional response they did. Plus, I’m not a pretty crier, so I try not to indulge unless it’s absolutely necessary. In the intervening months, I have consciously chosen a few books that are more emotional than my usual fare, based solely on the back of the book description. I just finished reading one of them this week and will post my review in a couple of weeks when we get nearer the release date. I will say that it was heart-breaking, though hopeful, and I cried through most of it, much to my husband’s dismay. He asked me more than once if I could please just move on to a good murder mystery, because these were tears he didn’t understand and couldn’t fix. When I said I had to finish it, he just quietly rubbed my back while I read and cried, proof positive that he really is Mr. Wonderful. So that got me wondering, why do you choose to read certain books? Are you looking for a story that touches your heart, do you just want to “escape” into someone else’s life for a while, are you looking for a grand adventure where you get to imagine what it’s like taking down the bad guys? What motivates you to pick up one book over another? And do you feel an emotional response is critical for you to consider a book to be great? Though I do like mysteries, I am partial to non-fiction work and I usually choose the books I read solely based on if they pique my interest when I read the back cover. The last book that made me cry was Marley & Me and I read that at the suggestion of an acquaintance. You are not alone, we seem to share the same emotional immunity, I am rarely brought to tears while indulging in a good read. This might seem strange to a lot of you; but i can hardly read thr Bible without crying. It touches my heart every time no matter what area i read. I was able to download it from Lazy Books to my nook color and my iphone; so, in “down time” i get it out sometimes in public places studying for Sunday School, etc and tears flow. I glance up at people just staring at me. At least I AM a quiet crier! So YES i am an emotional reader and It’s OK! Books can make me cry for sure. Susan Mallery’s books, although mostly a happy ending type of book almost always has a “tear up” moment for me. Her “Fool’s Gold” series, including the latest release Only Mine has those feel good, bring a tear to your eye moments. I need an emotional response to a book in order for it to be good for me. I like it when authors create characters so real you feel what they feel. Without an emotional connection to the book I am reading I think it isn’t worth reading. I read all types of books and whether the emotion is just being scared or angry, as long as it is there the book is worth reading (at least to me). You’re right that crying isn’t the only emotional response we have to reading! I was kind of fixated on the crying thing, but we experience all kinds of emotions when reading, it just depends on the content of the book. Thanks for that great reminder! I’ve always been a reader, but for the past few years, I’m made it a point to read what I call “fluffy” books. Ones with characters I can easily care about, and more happiness and hope than pain and sorrow. For example, instead of Patricia Cornwall’s wonderful but gritty crime novels, I read Janet Evanovich’s comedic mysteries. I read less science fiction and more “women’s fiction”…authors like Debbie Macomber and Susan Mallery. Their stories have heart. It’s part of why I love Cedar Cove and Fool’s Gold – they’re towns I’d love to live in! I love “fluffy” books, too. I seem to go back and forth between intense thrillers and fluffy, feel-good stories. You can always depend on Debbie Macomber and Susan Mallery to give you a great story full of heart! I am just now getting back to reading for fun after years of not doing much reading at all. Now that I am retired I can pick up my Nook anytime I want and get lost in a good story. Needing to brush up on the author’s names, etc. Can not remember the last book that made me cry; but I do get caught up in the story. Some author’s I like and can remember are Debbie Macomber and Karen Kingsbury, Nicolas Sparks. I think I will head to my easy chair and grab my Nook!! Hi, Kimberly… Great question! I’m not a pretty crier and I HATE HATE HATE to cry, especially in public. Generally, I’ll avoid books that have those tear jerker moments in them. If a book made me cry most of the time, I’d never get through it. I think that’s why I love books from Susan Mallery, Debbie Maccomber, etc, because though I might shed a tear or two because I’m invested in the characters, I know there’s going to be a happy ending. Thank you, Angie! I get invested with the characters, too, which is one reason why I love to read book series and both Mallery & Maccomber are great at writing series where we get to see our favorite characters again, but also “meet” new ones. Susan’s books are always heartwarming and at times make me cry. Especially her Buchanan, Marcelli and Titan Sisters. However, I’m finding her latest Fools Gold series…..I’m also shedding tears. Other books that have made me shed tears…..Maureen Child’s One Night, Two Heirs, Kate Carlisle’s How to Seduce a Billionaire, Susan Stephens, The Unbtamed Argentinean and Lynne Graham’s duo, Bride for Real and The Marriage Betrayal. Those are great suggestions, Marilyn! I’m going to have to add them to my to-be-read list. Goodness, what books haven’t made me cry? I am reading the Little House on the Prairie series with my girls (4 & 6) & I even cry in those! My girls watch to see if I sniffle & always ask “Are you crying Mommy?”. They seem to think it is funny/interesting or at least are trying to figure out why. I guess I can just relate & empathize really well. Hi Katherine! Thank you for stopping by, I appreciate your support! The Little House books were some of my favorites growing up, I think I wore out several copies from re-reading them over and over. It’s wonderful that you get to share them with your little girls, too! Which book in the series are you currently reading? Susan Mallery’s FG series makes me tear up a lot but her book, “Already Home” had the tears running down my face. Love a good cry, makes the book that much more pesonal to me. I haven’t read Already Home yet, but I keep hearing wonderful things about it. Tears do seem to make the story more personal, maybe that’s why we tend to better remember books that make us cry over other books we’ve read? Since reading Only Mine earlier this month, I’ve been playing catchup on some of Susan’s older books, and I must say the first book in the Marcelli sister’s series, The Sparkling One, made me tear up. I felt so bad for Katie when her grandfather kicked her out of the family and no one stood up for her, despite the fact that she made complete and utter sense. I’m big on family, so reading about how someone could so quickly be ostracized by their own family struck a chord with me.